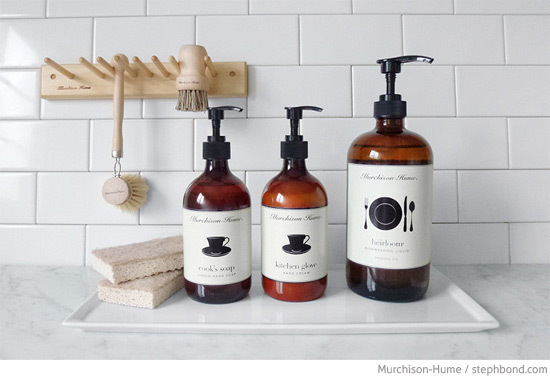 I love the look of the new organic cleaning products from Murchison-Hume in Sydney. The range is created by an ex-fashion editor whose son had sensitivities to common cleaning products. Disenchanted with the uninspiring cleaning products available that were also full of synthetic dyes and fragrances, Max Kater developed a range of beautiful eco-friendly cleaning products that were gentle on people and the earth, and looked fantastic too.